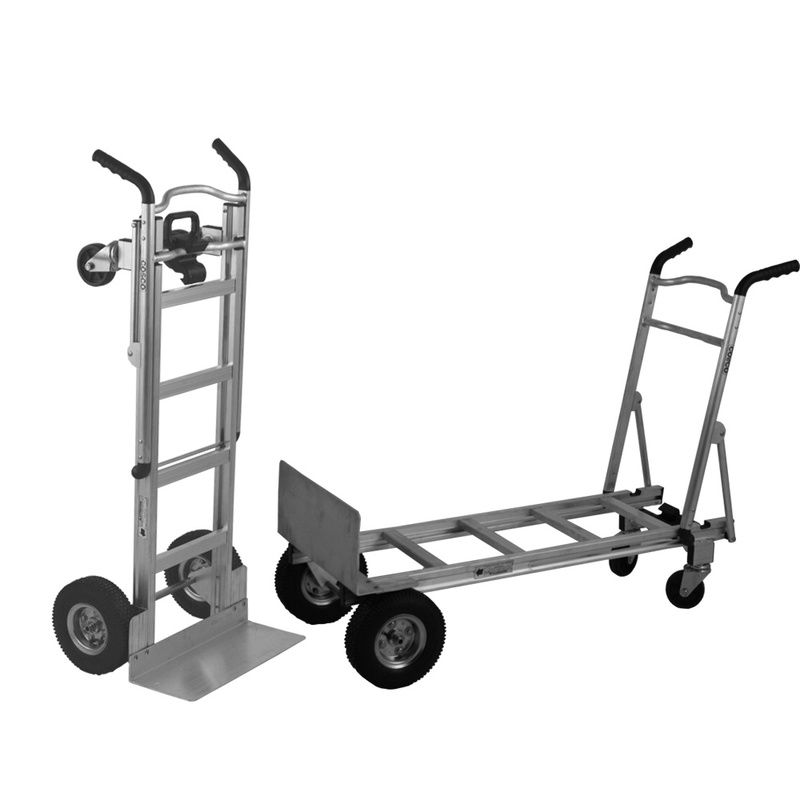 Multi-purpose, can be used as a sack truck or a platform truck. Strong yet lightweight aluminium construction with solid foot-iron for holding the load. Quick one hand conversion  no pins or tools required. Fitted with hand grips for user safety. Wheel guards to help keep load clean and dry when terrain is wet or muddy. The convertible Cosco sack truck is used for larger deliveries in city or town centres where an increase in pedestrian areas requires a hand truck that can comfortably travel distances between the delivery vehicle and the delivery destination. The 2-in-1 mechanism is very simple and can be activated with one hand. Puncture proof wheels make rough terrain and cobbled streets easy to traverse without getting a puncture! Wheel guards keep the load clean and free form mud and water. The Manual Handling Operations Regulations 1992 (MHOR) which define manual handling as transporting or supporting of a load by hand or bodily force were bought in to protect individuals when moving and lifting loads. Health and safety executives encourage organisations to purchase the right truck for the task and this convertible aluminium truck complies with the handling regulations and also enhance productivity by allowing delivery drivers to make multiple drops in one delivery. Showing our 2 Cosco 2-in-1 Aluminium Convertible Sack Truck Pneumatic Tyres Cap: 272kg reviews with an average rating of Very Good. Would you like to write a review?